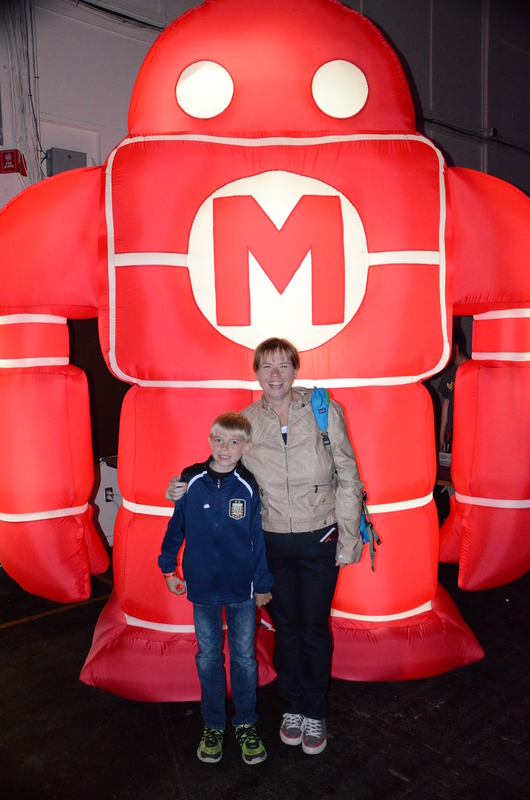 My son and I at our first Maker’s Faire! 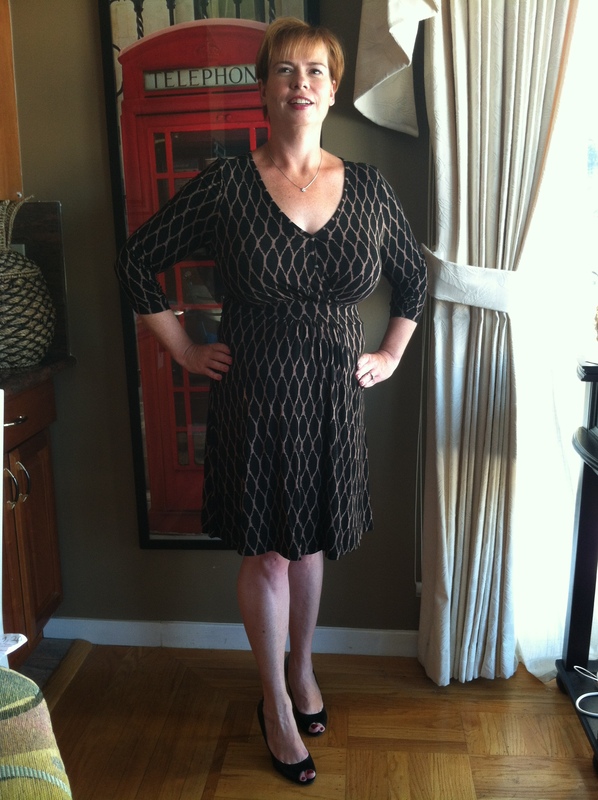 Staying on my feet all day is much easier with 94 pounds less on my body! Here I am at Week 50 and up a pound. No, that’s not the good stuff. It puts my total weight loss from 95 pounds to 94 pounds so I won’t complain..too much. I think I’m still figuring out what my “real” weight will be so I’m going to put the numbers aside for today. Let’s have a positive chat about the good, no, the great things, that losing 94 pounds has done for me! Staying on my feet all day and walking around is not a problem! This weekend we went to Maker’s Faire which basically is a science, computers, arts and crafts, techie geek festival. All day we wandered a convention center full of wonders for nerds of all ages. It was overwhelming, fun and interesting, but I know if we had gone last year I would not have felt that way. Walking all day and standing on my feet with another 94 pounds on my body would have made it miserable. Clothes shopping is a whole new world! I can choose from such a huge variety of clothes now that I’m not limited to one section of a store. I will admit it is still confusing and overwhelming shopping in larger stores like Macy’s and Nordstrom. Can they just have a section for 45 year olds who want to dress modern, but not too trendy? Not matter how much weight I loss, short-shorts will not be featured on this body! Positive comments from acquaintances are great for my ego! Just this week, a school secretary and a parent at my children’s school told me how great I look. Now that I’ve lost such a large amount of weight, I think more people are comfortable commenting on my new appearance. I will honestly admit I love the positive feedback. It really helps during this fluctuating time in my weight loss journey. My first new dress in my weight loss journey! And high heels too! It was nice to feel confidant and comfortable wearing this on a “moms night out” evening. It’s hard to believe it has been 49 weeks since I had my gastric sleeve surgery. My total is 94.5 pounds which is good, but I have this one and a half pounds that keeps me going up and down the scale. It’s not just physical weight, but emotional weight that is frustrating me. I have come to realize that emotional baggage can be as damaging and painful as the actually physical pounds. So how am I going to get myself out of this “fat” mentality? Well, first I am going to take care of myself physically. I have an abdominal hernia from my c-sections that didn’t bother me in the past. I assume all the fat I carried around was supporting my muscles before, but now I am in pain from the hernia. I had to stop running because of the pain and I think it is keeping me from progressing in my weight loss. It is also keeping me from the mental relief I get from running. I am trying to put the guilt of the time and financial burden this causes my family in the back of my mind. It isn’t easy, but I do have an appointment with my weight loss surgeon who can also fix this hernia next month. I promised myself that I will take care of this so I can move forward with my weight loss. Another important promise I made myself was to get help mentally with the struggles I face as I lose weight. Part of the pre-surgery requirements was to be evaluated by a therapist. I felt very comfortable with the one I met and a few weeks I reached out to her for an appointment. Not being able to shove my feelings down with food has brought out higher levels of stress that I thought possible. I realized I need a professional to help me learn to cope with my stress in other ways besides eating. I have come too far in this journey to regain this weight. Mental and physical health go hand in hand and I need to focus on both. I hope to find a healthy and positive way to move forward. So here I am at the crossroads. I’ve come so far yet I realize I will always be on this journey. Some days I don’t believe I deserve to spend this much time on me. The guilt of focusing on me haunts me. And while most of the time I feel supported by my family and friends, some times I still feel alone. But then I realize, if I don’t think I’m worth the trouble, how can they?